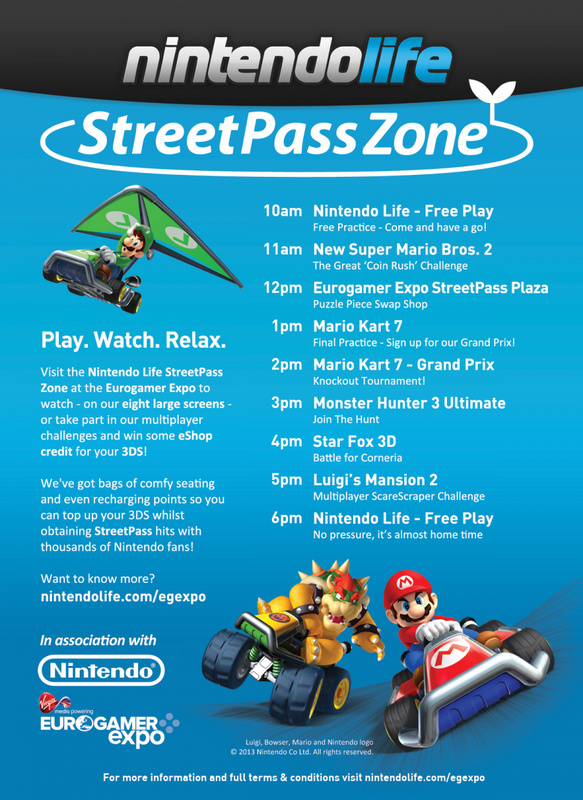 The Eurogamer Expo 2013 opens this week, and Nintendo Life will be there in force. You'll find us right next to Nintendo's stand, where we'll be running a series of 3DS-related challenges which give you the chance to win eShop credit and other amazing prizes. The daily schedule can be seen below. We've got something for everyone — crafty coin-chasing in New Super Mario Bros. 2, high-speed hilarity in Mario Kart 7, bodacious beast-busting in Monster Hunter 3 Ultimate and daring dog-fighting in Star Fox 64 3D. There will of course also be ample opportunity to StreetPass with other 3DS owners — everyone just loves those puzzle pieces — and what better way to celebrate National StreetPass Day than visiting our stand on Saturday 28th? Are you planning on attending the expo this year? If so, make sure you drop by the stand and say hello to the Nintendo Life team! Sold out early so no I won't be attending . Aww they're sold out Well I hope the zone will also be there next year. .... ohh and will those charging points have chargers there or do we have to bring our own chargers? @123akis you should just need your 3DS, charging units will have cables attached (I hope)! This is pretty awesome!. NL needs to do something similar in America. I wish I was able to go to Europe and check out this event.